Every football team has at least one weakness. Honestly, it may be fair to say two weaknesses. Usually one on the offensive side of the ball, and one on defense. This article I will be dissecting any potential weaknesses on the offensive side of the ball. Hopefully you can relate to this: when the Patriots have been eliminated from the playoffs, it damn near always catches me off guard. I can’t remember a playoff game that the Patriots have lost and I wholeheartedly expected them to lose. That just doesn’t happen. Us Patriots fans have built this expectation to win the Super Bowl every single season, and anything short of that is a failure. Tom Brady and Bill Belichick have instilled this into us. Year after year winning Super Bowls or being in contention has plateaued our standards at ‘Super Bowl or bust’. So, when the Patriots are in fact eliminated from contention, I am initially in a stage of anger and shock. Naturally, because of how great the Patriots always are, when they are eliminated, it seems like a blown opportunity. A few days after the loss, ‘hindsight 20-20’ becomes reality to me. 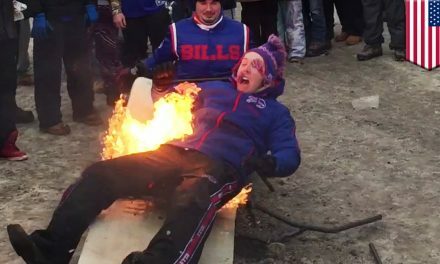 I begin to understand why they lost, and that their weaknesses couldn’t be masked by Brady and Bill. 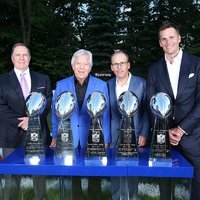 As a Patriots fan, even with the weaknesses that the team has, it becomes easy to overlook them or minimize them because “we have Brady and Belichick”. By the end of this article, I intend for you to fully understand the Patriots offensive weakness. Whether you want to use statistics or the eye test, the Patriots’ offense this season has been elite. Arguably they are the best in the NFL. They finished top-2 in total yards, points for, turnovers lost, and total first downs. This New England offense seems like one without a weakness. One may in fact have a point in believing that, had the Patriots never traveled to Miami this season. In by far the worst offensive performance of the season, the Patriots were 0-11 on third down conversions. A usual staple of success for the Patriots became what derailed the team that week. 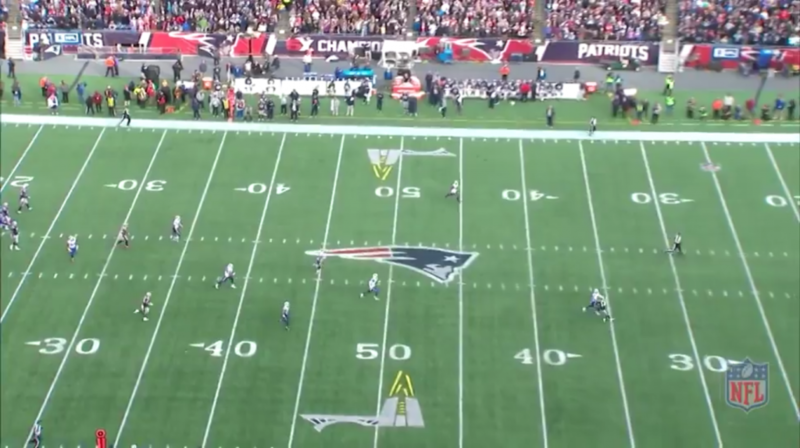 Taking a deeper look at what went wrong that game, it became clear that the Patriots could not throw the football down field. To be fair, they didn’t have Rob Gronkowski, who was serving a one-game suspension. Without Gronk up the middle demanding two sets of eyes, there was nothing the Patriots could do to free up their wide-receivers vs Miami’s press-man-coverage. Xavien Howard led the Miami CB group through to a no-hitter vs Tom Brady and company. Playing straight up man-coverage, with a plethora of different blitzing schemes, the Patriots were helpless. Heading into the next week vs Pittsburgh for the biggest game of the season, New England clearly had to clean up its act. A team that usually plays zone-coverage, played tight man-coverage vs New England, following the blueprint that Miami put together the week before. The difference this time, was Rob Gronkowski, who ate up the Pittsburgh defense. While it was nice to see Gronk back, the Patriots still only completed nine passes to wide-receivers that game. The next two games against the Bills and Jets, with the season all but locked up, the game plan seemed to revolve around running the rock. Opportunities to throw were still there, and so were the issues. 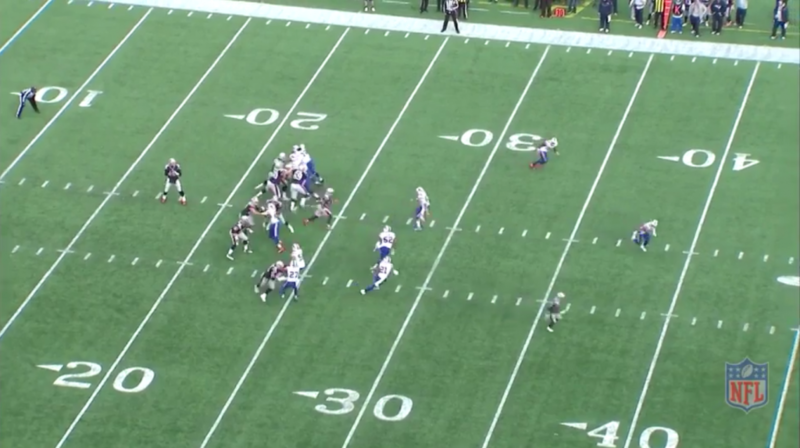 Brady missed Cooks wide open deep down the field vs Buffalo that should have been a touchdown. Cooks(36yd line) has the safety beat over the top. An under-throw by Brady towards the middle of the field forced Cooks back inward, helping the safety catch up. Incomplete. Against the Jets, Cooks stopped running too early, resulting in an incompletion that should have been a deep touchdown. According to NFL Research, over the first 11 games this season, Tom Brady completed 42.3% of his passes of 20+ yards and had a TD/INT of 5/1. Over the last 5 games, Tom Brady has completed only 27.3% of his throws of 20+ yards and has a TD/INT of 0/3. 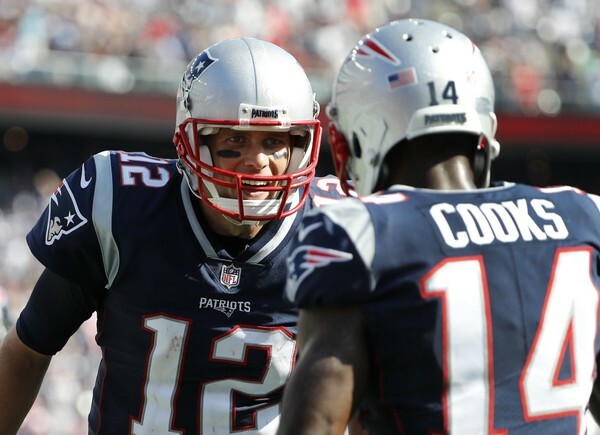 Through those first 11 games as well, Brandin Cooks averaged 79 yards per game. Over the last 5 games, however, Brandin Cooks has averaged 42.6 yards per game and has spit out his only two ‘under 20 yard’ games. I want to tread lightly here, but maybe this bye-week is exactly what Tom Brady needs. I am not saying that Tom Brady is done, or seriously regressing, the G.O.A.T will probably win the MVP for crying out loud! What I am saying, however, is that Tom Brady only had to play a twelve game season last year. He had five weeks off. 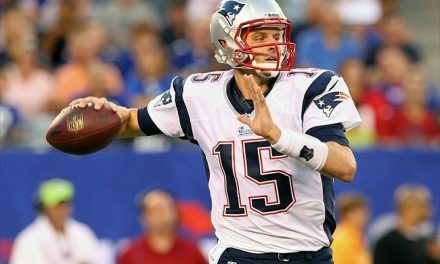 As fit as Tom Brady is, at age 40 the human body needs more time to recover. Tom Brady, to my estimations, has at least two years of great football left. With that being said, he is going to have to rest more, and continue to nurture his body as he gets older, like anyone would. Tom Brady from weeks 12-16 threw at least one interception in each game. It was the first time he had thrown an INT in five straight weeks since 2002. This bye-week could indeed be what Brady’s body needs to help get him back on track. It is also completely fair to credit this issue to injuries that transpired throughout the season. Losing Edelman in the preseason changed the entire dynamic of the offense. Before Hogan was knocked out with his shoulder injury, he was on pace for his best season. At the same time, Brandin Cooks was tearing up the field with his deep crossing and go routes. On top of that, Malcolm Mitchell, a Brady favorite, has been out for the entire season. The good news is that both Hogan and Mitchell are likely to be back in the playoffs at some point. This would be crucial for the Patriots offense. 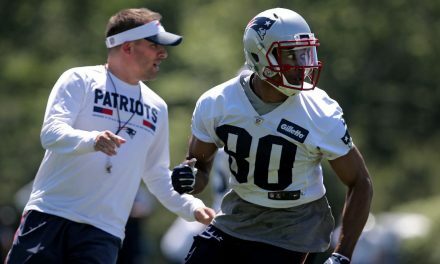 To have weapons like Gronkowski and Lewis grouped with a dangerous wide-receiver group *that Brady trusts* could make this offense unstoppable. Right now, however, throwing outside is still a big weakness for this team.